4- function, uses RPN (Reverse Polish Notation). Uses 5 integrated circuits made by General Instruments Microelectronics (GIM). Price £192 GBP (about US$220). 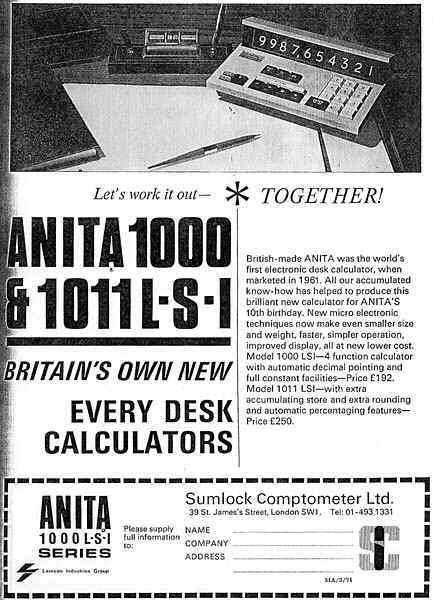 Advertisement from February 1971 announcing the new ANITA 1000 LSI and ANITA 1011 LSI calculators. Management in Action, Feb 1971, p13.